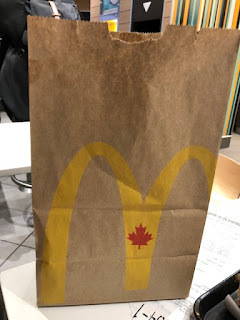 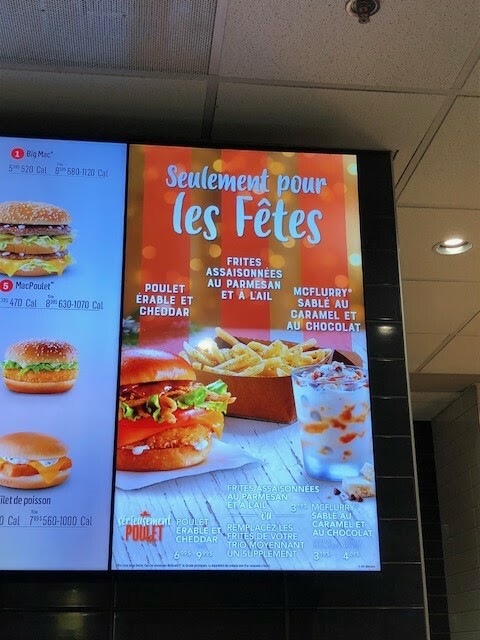 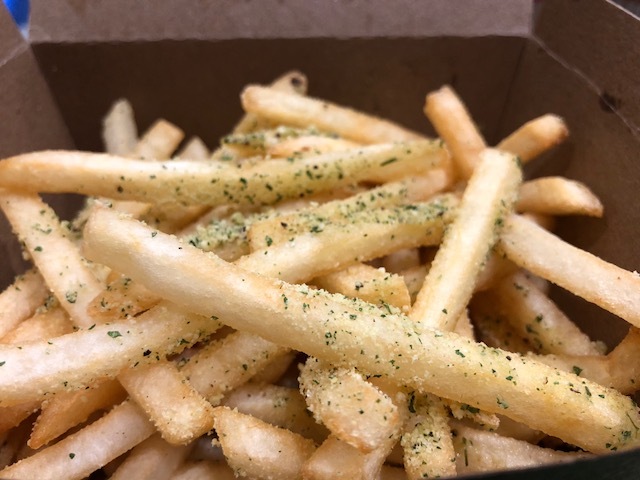 McDonald's in Canada has several limited time items, and one of them is Parmesan & Garlic Seasoned Fries. 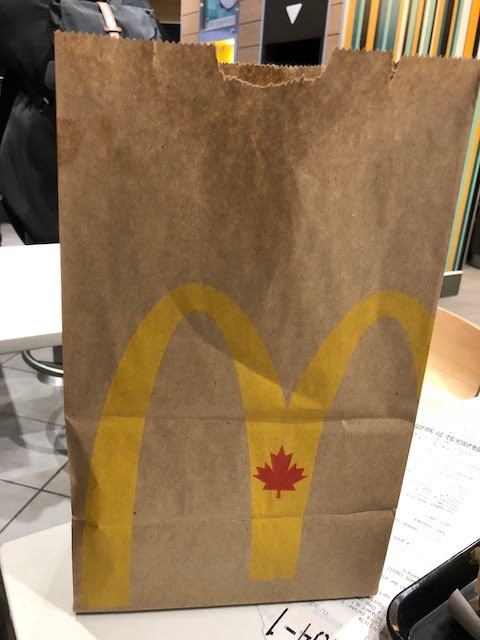 It's given with a paper bag. 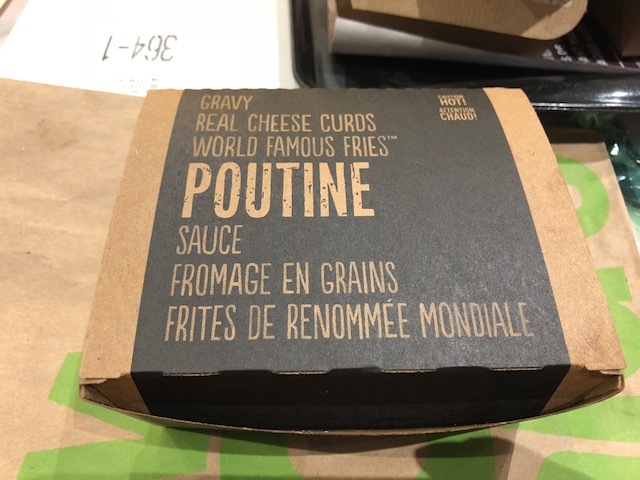 And the fries were in a box of poutine. Opening the box, I could smell strong garlic scent and parmesan cheese flavor immediately. 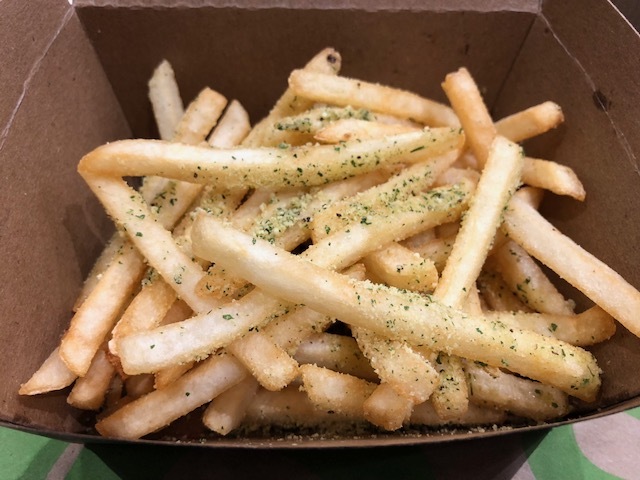 I guess the green pieces were parsley. It tasted much saltier than regular fries due to the parmesan cheese, but with appetizing garlic flavor, it's so addictive and I kept eating. 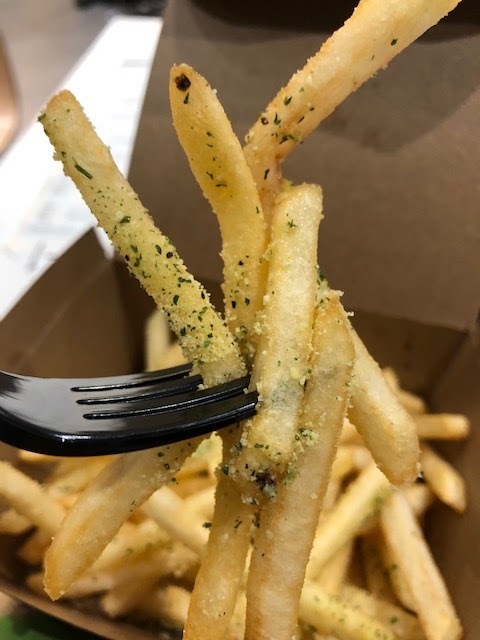 It sure gave me garlicky breath but I thought it's worth it. I tried them with gravy sauce and the gravy was so strong that I didn’t taste parmesan.